Metal Sculpting has a proud and well-proven track record of providing exclusive designs, exceptional quality and superior hand-crafted metal balustrades and various other crafted metal products since 1990. We specialise in personal design based on our client’s requirements and desires. 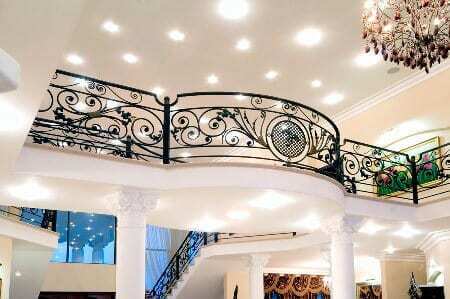 Metal Sculpting is considered to be one of the market leaders in the metal balustrades, metal gates, handrails and other sculpted metal products. Unlike many other companies. We do not hand clients a catalogue. We believe that each project is handled exclusively and all ideas are original, thereby offering the discerning decorator guaranteed uniqueness. Only after a consultation at your leisure with our artist will we present you with a unique design to suit your budgetary requirements. Through years of experience and well-trained sculptors, clients are assured handcrafted products that will enhance their beautiful environment. Metal Sculpting has fashioned many prize concepts for both business and residential developments in exclusive suburbs countrywide and abroad. We are not limited to only supplying our services in Johannesburg and Pretoria. Feel free to contact us with your metal sculpting needs where ever you are located. We cater for a wide range of balustrade uses and requirements. Our custom designs adds a tasteful flare to any metal balustrade application. A driveway gate, fence and security gates will certainly not look like the norm with our custom designs. We design metal gates to match your requirements. Our purpose built spiral staircases are often used to save space while adding a unique ascetic appearance. Have custom door handles designed and manufactured to complement the design of a gate or door. All of our product designs are first illustrated to ensure maximum client satisfaction and to show the potential of the final result.